This was written for the dVerse poetics challenge this weekend…brilliant visual prompts and a timely reminder that we don’t just see or hear but also sense in so many ways our relationship with the world…thank you Kelvin. 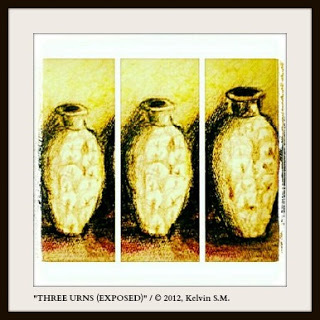 This entry was posted in artist, Dversepoetry, inspiration, online writing, poet, poetry, poets, Uncategorized, word painting, writer, writing and tagged amphora, archaeology, Dverse, historical finds, Kelvin, literary description, poetry, Quick-and-dirty, using all senses, word painting. Bookmark the permalink. interesting…i like the thought of it being a archeological piece…the absorbtion of the sound but not lost….it being a guardian as well…like the touch on smell as well….. I love the image of containers guarding empty spaces.